He was the man the US government tried to erase from history. 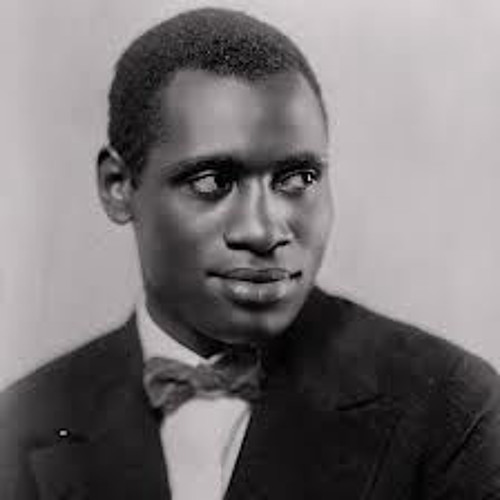 From the 1920s through the early 1960s there was a musical giant on the world scene, the legendary bass-baritone Paul Robeson. Part folk hero, part star of stage and screen, Big Paul became famous at a time when segregation was legal in the United States and black people couldn't get a meal in a New York cafe, let alone walk safely in the south. Find out more and listen to the documentary at 360documentaries. @user-637181030: Although not widely known at the time, Robeson was right to question the loyalty of the HUAC congressional members based on the federal government's secret (and ongoing) decision in 1945 to permit more than 1,600 nazi war criminals safe emigration into the U.S. for gov't employment as fascist scientists, engineers and eugenicists via Operation Paperclip. @user-637181030: On June 12, 1956, Robeson concluded his testimony before the U.S. House Committee on Un-American Activities (HUAC), stating that the congressional members of the HUAC were the real “Un-Americans” who should be tried under the Alien and Sedition Acts of 1798. @user-637181030: By the time of Robeson's testimony, he and Albert Einstein had already established a friendship that would go on to last 20 years. Both men met at Princeton University in New Jersey, and worked tirelessly together on the American Crusade to End Lynching, in response to an upsurge in white supremacist murders of black citizen-soldiers returning home from WWII. My father was a slave and my people died to build this country; and, I'm going to stay here and have a part of it, just like you. And no fascist-minded people will drive me from it! Is that clear? I won't argue with a representative of the people who, in building America, wasted the lives of my people. You are responsible--you and your forbears--for 60M to 100M black people dying in the slave ships and on the plantations. Don't you ask me about anybody! I am here because I am opposing the neo-fascist cause, which I see are rising in these committees. Jefferson could be sitting here; Frederick Douglass could be sitting here; Eugene Debs could be sitting here.